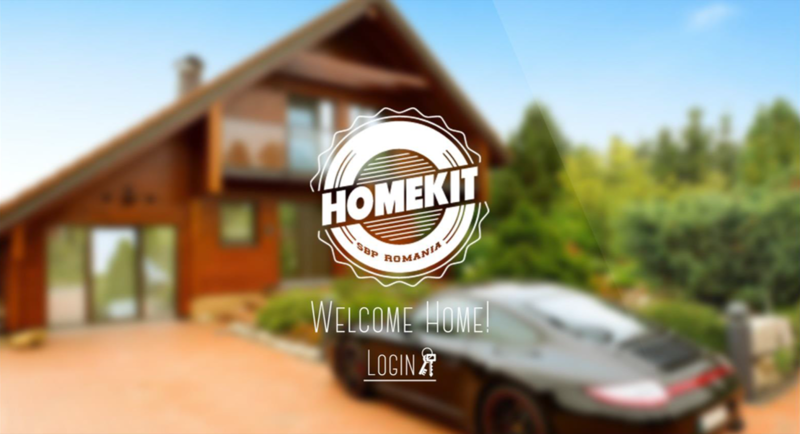 Homekit is a cross-platform software which enables the control of your home appliances and devices from any location. The application allows multiple accounts, so that each family member can have their own user, and it also displays the location of a family member (on a smartphone or a desktop computer), by using GPS positioning. Support for interoperating between systems: Windows, Mac OS X, Android, iOS. In the following screenshot you can see the process of adding a new room in the app. Each room has personalized default settings, but users can always edit the room and add or remove features. This way, the interface of the app stays well-organized and users can keep focus on what is important for them. In the next screenshot you can see how the app looks like after some rooms were added and the setup was made for each room. In this case, we have the bedroom with the curtains half-opened, three lights on, two dimmed and one off, the music paused and the temperature set to 23 degrees Celsius. Also, the app reminds users that the plugs are turned off and that they have some new emails. As you can see, users have the possibility to lock the house, send a vocal or text message, set the alarms, view other rooms or the outside, reset all settings, schedule something, and see what is on the checklist. Users can change rooms by swiping on the central area of the screen, or click on the bottom indicators. The following screenshot presents the family feature. Homekit retrieves the GPS coordinates of each member’s smartphone to display their exact location directly on a smartphone or desktop computer. The tracking can be disabled in the Settings screen. Inside: In this section the users manage the devices that control the temperature, lights, curtains, music, etc. Outside: Using the controls from this section, the users can manage the garden sprinklers, the pool temperature, outside lights, etc.